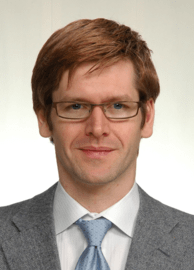 Dr Andrew Kissane is a UK medical psychiatrist and doctor working in Tokyo, Japan. He is the only Tokyo psychiatrist (and the only English psychiatrist in Japan) specifically licensed by the Ministry of Welfare to treat foreign nationals in Japan and holds a Japanese medical license. He is the American Clinic Tokyo Psychiatrist, holding a psychiatry clinic there three days per week, and also provides counseling and psychotherapy at the Tokyo Mental Health office in Shintomi. Dr Kissane matriculated at Girton College in 1993. After completing a Bachelor of Arts in experimental psychology, graduated from University of Cambridge School of Medicine in 1998. He undertook his medical psychiatric training at Cambridge while studying for a Postgraduate Diploma in Cognitive Analytic Therapy at University of East Anglia, and received his PhD from Keio University School of Medicine in Tokyo in 2017. Dr Kissane is on the UK General Medical Council Specialist Medical Register, and holds a Japanese medical licence. He is a member of the Royal College of Psychiatrists and a member of the British Association of Psychopharmacology. Dr Kissane is conducting clinical research on depression and anxiety disorders with American Clinic Tokyo and an international collaboration with parallel sites in New Zealand and North India, and is a board member for International Mental Health Professionals Japan, a member of the Association of International Community Provider Organizations (AICPO) in Tokyo, and Director of International Medical KK, a mental health technology start up developing Psynary.